Way back in 2007, my brother lived in PA where it would snow like a mofo. I told him about an making some bicycle tire chains for the snow. 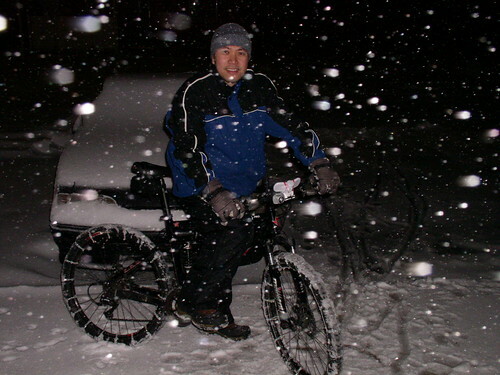 Yep, snow chains or however you Snow Birds call them…but for bicycles. Here’s where you can see how he did it. CLICK HERE.